So Mark has asked me to write a blog post about what it is like to be married to him. My first question was, can I be honest or do I have to lie? He has given me free reign to write what I like, so here I go!! I met Mark nearly 7 years ago whilst at work. I’m sure most of you know that our first job together was to a railway track, looking for a patient. Or should I say, me looking for part of the patient via torchlight whilst Mark randomly chatted away to some guy. It was my first real trauma job, and I had only been in the job a few months. Mark and I bonded that shift in a way which “Crew Mates” usually do. We talked about what had happened and evaluated the job. He looked after ma that day and during the following shifts that we worked together. I felt that we had developed a ‘special bond’ and looked forward to working with him again (You can grab your vomit bowl at this point if you need too). I looked up to Mark, he was very particular in the way that he worked, every patient got 100% care at all times. I once took him to my parent’s house whilst we were passing on shift. We were both hungry that day, so the mother got the phone call to make some sandwiches. So, yup, I can now blame my mother for how my life has turned out, right? A short time passed and after a while Mark and I ‘hooked up’ together. He has always been a person with a get up and go personality. He always wants to be doing something and is constantly striving to make things better for his patients. I respect him greatly for this, although it’s a shame that he wasn’t any better at DIY or housework. His now famous friendship (read, Bromance) with Justin started off as a wacky idea to visit a different ambulance service in another country. At first I thought it was one of his usual crazy ideas, but wow, it has come a long way since then! After months of planning, Mark finally made his transatlantic trip to America, to go and play with Justin and then vice versa. I have to be honest and say that it was a hard 11 days without my husband. 6 x 12 hour shifts, a mother and two children to look after, all took its toll. I was exhausted. Then Justin can over to the UK and I had to pretend to be a good housewife for another week (which I confess, I am not). Evening meals and packed lunches, as well as three nights out, again left me out of breath and wondering where it was all going to end. But, it all came to an end, it was all over, and I got to relax for a while. Mark had done what he had wanted to and life would go back to normal, right? Wrong! All that had happened was that a monster was created and it had a name called, The Chronicles of EMS! Mark and Justin wanted more. They now wanted to travel the world. They wanted to review and change the way in which EMS systems work all over the world. Now, being a paramedic myself, I can relate to what they are trying to achieve. I admit that I am nowhere as passionate as Mark or Justin as far as my own job goes, but I like to think that is because I am a mother and a wife first and a paramedic second. This is not to say that I do not put energy and enthusiasm into my work or strive to be a better paramedic with improved skills, I do, it just doesn’t take over my life. Mark and Justin are taking on a big task. This is not something that is going to happen overnight. It will take years! I also realise that this means that the hubby is going to be away from home alot, and even when he is at home, it still takes up a hell of alot of his, and our time. So down to the nitty gritty then. He asked me to be honest and share my feelings on all of this, so deep breath……..and go! My first reaction is to say that I am jealous. I am jealous that Mark is getting to do something so exciting whilst I stay at home and keep the family going. I am resentful that it is him travelling the world and not me. I get angry that he seems to spend more time and energy involved with CoEMS and blogging than he does with me and the family. I hate that he enjoys himself so much and meets loads of exciting and wonderful people from all over the world, whilst I am stuck indoors with the children. It annoys me that Mark has such enthusiasm and ‘get up and go’, when I always seem to be so tired. Surely most, if not all of you, can understand why? But you know what?……everything that gets me going about Mark is what I love the most about him. I am so proud of what he has achieved. I love that he has such much passion for what he believes in. I enjoy listening to all of his stories and hearing the excitement in his voice. He is a great husband and a fantastic father. He is caring and loving. A person I respect and admire. He has a wicked sense of humour and loves to have a laugh. He makes me feel special and still gives me butterflies in my tummy. I can never imagine life without him and maybe that’s why I find it so hard when he is away on another jaunt. There has to be a compromise in a marriage as well as give and take. Mark will continue on his quest, with his ‘best buddy’ Justin. I can’t promise not to moan or whine, but I will always smile when I see what he is achieving and when other people comment or write about what he is doing. I will however, still take advantage of his better nature by making him feel guilty in order to get more lie ins. I really look forward to the day that I can come on one of his trips and meet everyone and truly be part of this growing community. Until then, I will just keep tweeting. It keeps me sane and I so enjoy having a laugh with some of my twitter friends (special mentions to @PGSilva, @Theroaddoctor, @Madmedic1). However, I must say that Mark thinks that I am becoming a bit of a Twitter addict – I agree. There is so much more to share and so much more to write, but I think that is enough for now. Who knows, maybe I will get into this blogging lark? « Putting my foot in my mouth again! Thanks for that M`lady! Your cheque is in the post! Great post, Mrs999! I've actually wondered, “what does the better half think of all this? !” He's a lucky guy in many ways, and you've just made it clear how lucky he truly is! I agree with MsP, too, that this is something you should definitely continue! Its nice to hear from you. I read one of your blogs before and thought it was really good. 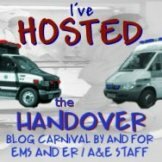 I am somewhat new to EMS and very new to blogging. I understand how hard this must be for you. I have grown very fond of your husbands blogs and well as Mr. Happy Medic and they have inspired me to start blogging as well. I want to thank YOU for being so understanding in letting Mr. 999Medic to go out and play. Its very exciting to hear about CoEMS! I hope things get a little easier for you in dealing with all of this and hopefully Mark can get some rest from his busy work and play and get plenty of family time. We in EMS all know about the long hours and time away from loved ones and Mark and Justin are taking that to a whole new level by embarking on this ambitious task. I solute them for it as I feel they have great ideas for our profession! As I said before however, a large amount of respect and gratitude needs to go to you and the other spouses and family that have to stay and man the fort and look after all the every day stuff. Thank you all for what you are doing! STAY SAFE!!! While in San Francisco, I had dinner with Mark and Justin along with Justin's family and friends. I seat between Justin and Mark so I could talk with both of them. They are two men who love their families. That was very obvious. Without you and Mrs. HM these two could not do what they are doing through Chronicles of EMS. Your husband was missing you very much that night.Think we should be hearing more from you so perhaps, your own blog!! Great Post.The guilty card is solid and should work well for you and…You're MUCH better looking than any of those hooter girls. (& I checked the bigger version on Mark's Facebook page).More posts from you would be good. As someone who has had a couple of guest posts on Mark's blog can I just say what a cracking job you have done with that post.You and Mark are very lucky to have each other.Keep up the good work, both of you.Nick. Good post Sandra. Mark is lucky to have you, and as others have said “he couldn't do it without you”. You guys seem like a good team to me, keep it up.Always play the guilt card for those treats. My wife has a new hero!! Loved it. Hi Mrs999! I think it's great you decided to write this post. Given the problems many ambulance crew have in relationships because of the nature of the job – especially I suspect where one partner is NOT in the NHS – to hear an honest description of how you deal with it. Your husband played a not insignificant role in my daughter deciding to apply for paramedic training and I would like to think that she will work to the same high standards he does (and I'm sure you do too). More power to your elbow – and I too hope you will be back to blog again. Mrs999 – yep, you've got to keep posting, ideally on your own blog.What a great post – it's easy to see where Mark has backing and from where he draws strength. You must be pretty special too, with such a responsible job, kids and an obsessed husband.Fair play to you.